To answer these questions I have deconstructed 31 award winning websites from Awwwards.com. If you want your message, product or services to spread in 2016, you will need to create a website that tells your story in a more visual, engaging and interactive way. 31 out of 31 websites are using CSS animation and/or transitions for creative effects and UI animation. Mostly simple UI effects with one or two keyframes. Hover effects or elements sliding into a view based on user interaction are the most common use cases. All modern browsers are now supporting CSS animations and transitions so now is the perfect time to get creative. Only 2 out of 31 sites are staying away from JS animations and majority of their effects are done in the stylesheet. These numbers clearly show that the more advanced interactions and creative effects are just not suitable for pure CSS animations. 24 out of 31 websites are using jQuery. Is this surprising you? As you can see, jQuery is still a very popular library and can make your workflow and code more streamlined. It can save you tone of development time and make your code easier to read, so you can concentrate on the creative side of coding. 21 out of 31 sites are using GreenSock for most of their animations and UI transitions. This number is not a coincident and clearly shows the growing popularity of GreenSock amongst the creative developers and designers. If you want to master GreenSock animations, join me in the GreenSock Workshop. 21 out of 31 sites are triggering or playing some animations as the user scrolls down the page. 4 sites are using ScrollMagic, others use Wow.js, scrollReveal.js, Waypoints or created their own trigger functions. A good animation is invisible to the user and so is a subtle scrolling animation triggered at the right time. In general you might be thinking that the scrolling animations are on decline, but I think we will still see a lot of them (correctly implemented) in 2016. ScrollMagic will be taking over from Skrollr when it comes to the implementation, mostly in combination with GreenSock. 19 out of 31 sites are using video and 12 out of 31 sites are using audio effects. With the increasing browser capabilities and internet speed across the globe, it’s not surprising to see that many sites using video and audio effects. They both require a very specific skill-set, but are adding extra dimension to the projects. 10 out of 31 sites are using HTML5 Canvas for their animations. Pixi.js is used 3 times and Three.js once. Here are some numbers related to the frameworks and CMS used, that I could digest from these 31 deconstructions. 3 sites are using WordPress, 2 sites and build using Angular.js and 1 site is build using React.js. I hope that you’ll find this breakdown useful when deciding which animation skill to learn in 2016. 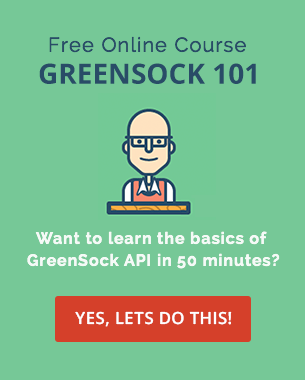 Do you want to learn GreenSock from scratch? Join me in the GreenSock Workshop. If you are more into design trends then check out these 16 Web & Graphic Design Trends To Watch In 2016 by Ernesto Olivares. What is your biggest takeaway from these top websites? Which area of front-end development will you be focusing on the most in 2016? I received the blog post update in my mail and I'm so glad to have subscribed to your mailing list. GreenSock looks so much fun , cannot imagine I've heard about it first in your blog. 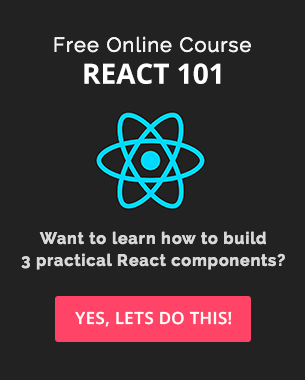 Thanks a lot - Its a great informative read right around the time I'm beginning to learn latest front end technologies. Great to hear that you've found it useful Annuradha! Thanks for stopping by. 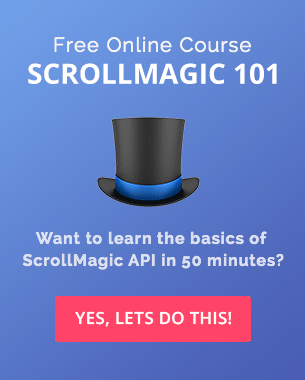 Hi Petr, Can you elaborate in greater detail on what you mean by "ScrollMagic will be taking over from Skrollr when it comes to the implementation, mostly in combination with GreenSock." in section number 5. Thanks! Loved your Skrollr Workshop Combo. Definitely looking forward to learning more animation in 2016 as I feel I have a solid grasp on everything else front-end design wise. Already got your GreenSock animation tutorial but also looking into SVG animation, and image/video compression and optimization as well. I feel like my sites are lacking in performance optimization the most. Hi Joe, thanks for sharing your opinion and for signing up for the GreenSock Workshop! Performance is a big part of what we do, I would recommend implementing one new thing in each of your new projects and over time you'll learn heaps about the individual parts of a good performance optimisation. Hi Norman, you are right, GSAP + ScrollMagic + CSS Animations are the way to go. I have a few tutorials and templates coming out soon. Stay tuned. Hi Just got inspired by you, and started digging myself in Web animations. i want to create very sleek transitions on scroll and on load event , loading animations and page transitions for a corporate look. Any ideas what i should learn and how i should start. Good Collection of web animation trends. I received the blog post update in my mail and I’m so glad to have subscribed to your mailing list. GreenSock looks so much fun , cannot imagine I’ve heard about it first in your blog. Thanks a lot – Its a great informative read right around the time I’m beginning to learn latest front end technologies. Great to hear that you’ve found it useful Annuradha! Thanks for stopping by. 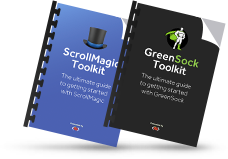 Can you elaborate in greater detail on what you mean by “ScrollMagic will be taking over from Skrollr when it comes to the implementation, mostly in combination with GreenSock.” in section number 5. Thanks! Loved your Skrollr Workshop Combo. Hi Will, with more and more people getting familiar with GSAP and Velocity.js, I think they will also want to take their knowledge and apply it creatively to their projects. Hope that helps and thanks heaps for signing up for the Skrollr Combo. Definitely looking forward to learning more animation in 2016 as I feel I have a solid grasp on everything else front-end design wise. Already got your GreenSock animation tutorial but also looking into SVG animation, and image/video compression and optimization as well. I feel like my sites are lacking in performance optimization the most. Hi Joe, thanks for sharing your opinion and for signing up for the GreenSock Workshop! Performance is a big part of what we do, I would recommend implementing one new thing in each of your new projects and over time you’ll learn heaps about the individual parts of a good performance optimisation. I think GSAP and ScrollMagic animations combined with css for not as complex animations are really powerfull. I like the canvas animation which we can see on some awwward winning websites really much! I think in 2016 we’ll see more svg animations too. Just got inspired by you, and started digging myself in Web animations. i want to create very sleek transitions on scroll and on load event , loading animations and page transitions for a corporate look. Any ideas what i should learn and how i should start.